INPUT OUTPUT: Blaire Nails a Bronze! 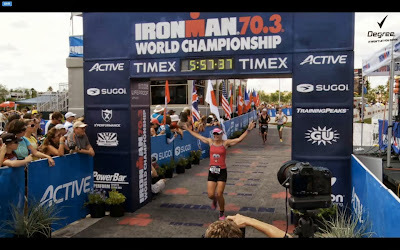 Blaire Kniaziew-Gervais had an amazing race at the 70.3 World Championships in Las Vegas, Nevada. Hoping for a race report to be published soon, but from a coaches perspective, SHE NAILED IT! CONGRATULATIONS BLAIRE!